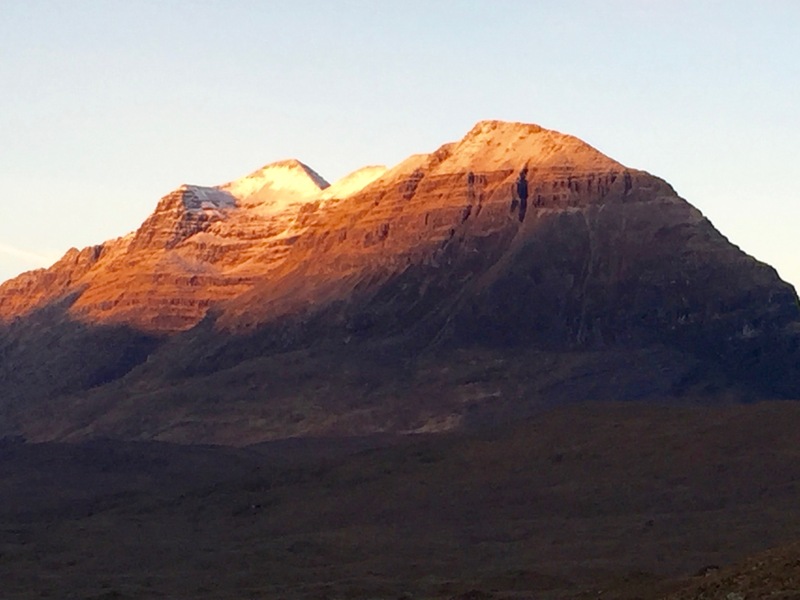 SAIS Torridon Blog » A cold clear morning. 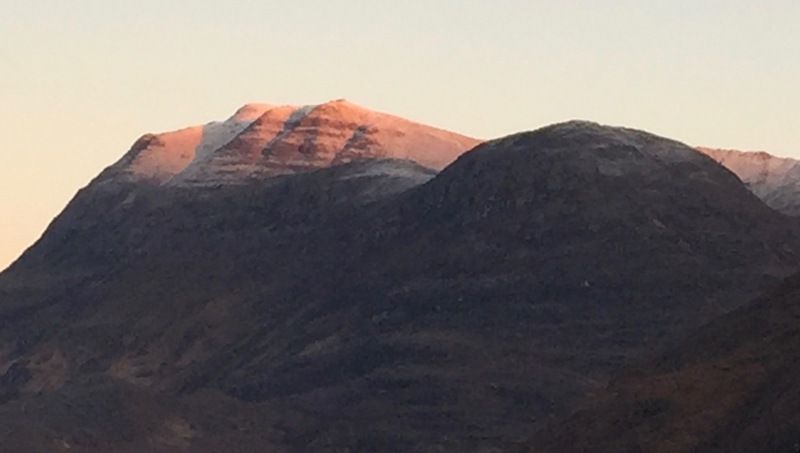 A wonderful morning in glen Torridon, although there were patches of black ice on the road and on our hill paths. Smaller pools of water were iced over and the turbulent burns and streams had a lot less water compared to yesterdays spate. As today progresses it will become overcast, the freezing level will rise to above summit levels and persistent rain is approaching with perhaps just a small chance of some sleet or wet snow on our highest summits. But living for the moment, it was a beautiful morning in the glen. Slioch with a dusting of snow. 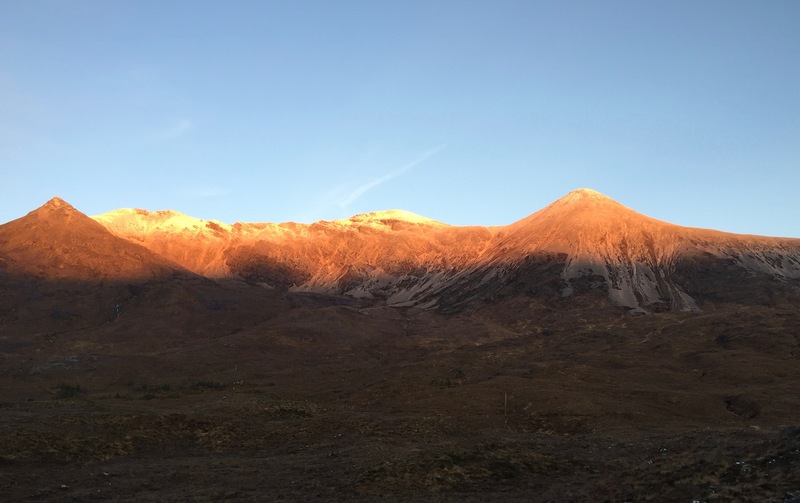 Early light on Beinn Eighe with light snow on the tops.